Recently, John and Anthony drove up Whitney Portal Road (orange) and hiked the Whitney trail (green). The large map provides an overview of the area....and may be displayed at full size. You can pan around to see details of the area. 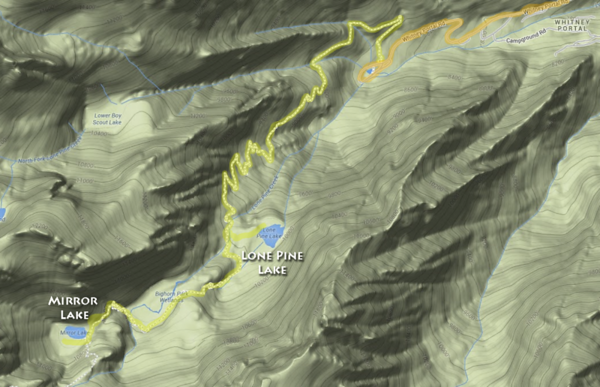 The inset map below (orange rectangle) provides a detail view of the hiked area to Lone Pine Lake and Mirror Lake.